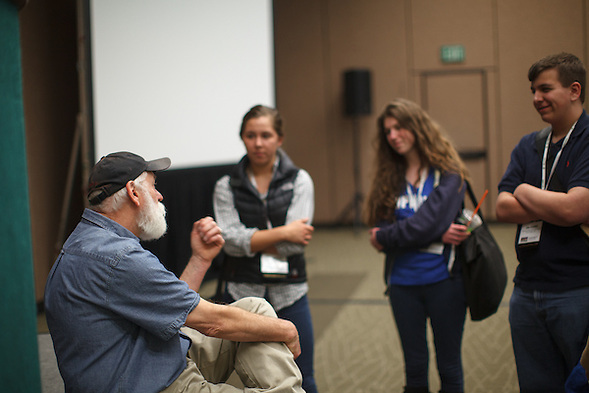 On Saturday, Dave LaBelle and I presented a workshop at the 2012 Spring National Scholastic Journalism Conference. This was the first time that Dave and I presented together although we have critiqued and judged photo competitions several times. 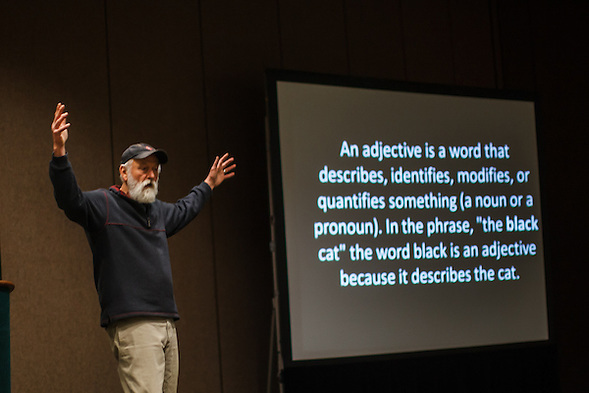 At the last three conventions, the Journalism Education Association introduced a photo story category. Dave and I noticed that contestants did not seem to understand how to create compelling stories. A good photo story changes the participants, including the photographer, but also the viewer and the subject. Photo stories are interactive. I used the photo above to illustrate interaction. The photo also has a deeper meaning. It is part of a larger unfinished story that will continue to change my life and the family’s life. My relationship with Dave has been interactive too. I have been fortunate to know one of the photo journalism giants. He is a great teacher and better friend. Here are photos of Dave and students during the Seattle Convention and photos of us at national conventions. I am adding a few more links from my presentation. Earlier this month, I contacted Brian Storm of MediaStorm.com. Brian has shown that online visual story telling can be compelling. Media Storm’s blog is a great resource. I asked Brian for a few specific suggestions for an emerging photographer. 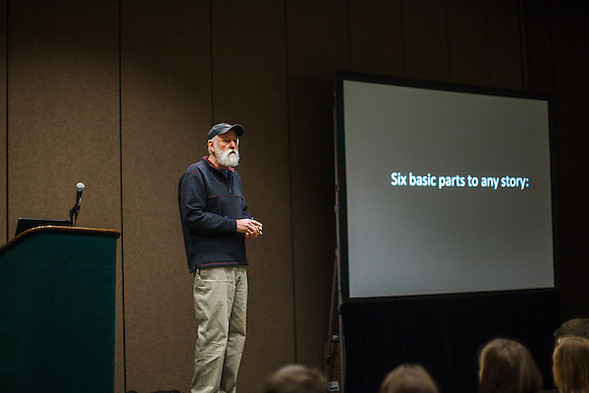 Brian mentioned Lens, the New York Times photography blog, and Burn Magazine. For someone interested in creating a long term photo story, I am adding a personal favorite. Darcy Padilla‘s The Julie Project began as a short project. Some stories redirect a photographer’s life. This is one of those stories. This entry was posted on Tuesday, April 17th, 2012 at 3:50 pm. It is filed under Education and Technology and tagged with Dave LaBelle, Photo Story, Photography, presentations, Seattle. You can follow any responses to this entry through the RSS 2.0 feed. Happy for you that you had the opportunity to present with your friend! Presenting with Dave was wonderful. He has influenced many of my recent photos. When I first met him, I did not know who he was. I should have known, but I was so clueless. My photography knowledge has large gaps. There are some people I should know about, but don’t… and then there are some people who I actually know. Dave is one of those people I know.